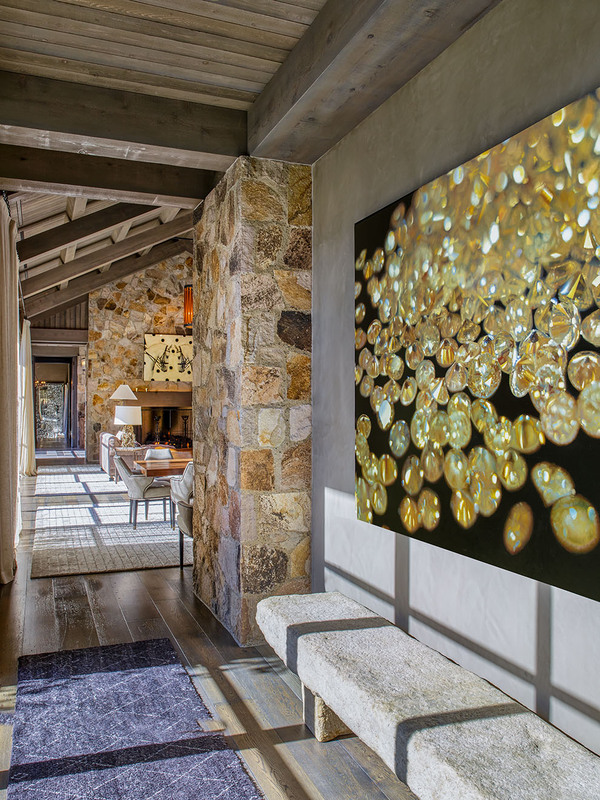 Hallway between kitchen and living room, painting lit by afternoon sun, private residence, Aspen, Colorado. Cristof EIGELBERGER ARCHITECTURE + DESIGN. ©Robert Millman 2017. All rights reserved. Photographed for Aspen Sojourner Magazine.